100 Conversations – this campaign came from our work with young people around digital safety and sexual assault prevention, Seattle, WA. Electronic Privacy Information Center – a public interest research center, established in 1994 to focus public attention on emerging civil liberties issues and to protect privacy, the First Amendment, and constitutional values, Washington, DC. Read brochure. ePanic Button – a desktop software duress alarm program, Raleigh, NC. Privacy / Public Access to Court Records Resource Guide, National Center for State Courts, Williamsburg, VA.
Privacy Rights Clearinghouse – a nonprofit consumer organization with a two-part mission – consumer information and consumer advocacy, San Diego, CA. Safety Net Project, National Network to End Domestic Violence – educates victims, their advocates and the general public on ways to use technology strategically to help find safety and escape domestic violence, sexual violence, stalking and abuse. 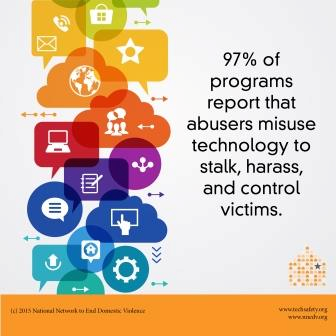 Safety Net also trains law enforcement, social services and coordinated community response teams on how to identify and hold perpetrators accountable for misusing technology. Local, state and national policies reflect the success of Safety Net Project's efforts, which include helping courts to keep survivors' addresses and photos off the Internet and increasing the security of databases that house vital and confidential information about victims, Washington, DC. App Safety Center – tips, information and considerations for the safe development and use of smartphone apps. Technology Safety Blog – exploring technology in the context of intimate partner violence, sexual assault and violence against women. 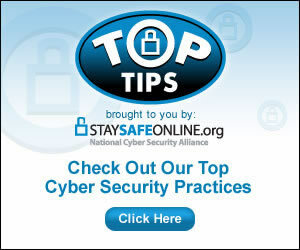 StaySafeOnline.org (National Cyber Security Alliance) – works to empower and support digital citizens to use the Internet securely and safely, protecting themselves and the cyber infrastructure, Washington, DC. That's Not Cool.com – attempting to raise awareness about digital dating abuse and stop it before it gets worse. Sponsored and co-created by Futures Without Violence, the Ad Council and the Office on Violence Against Women, the site is designed to address new and complicated problems between teens who are dating or hooking up ~ problems like constant and controlling testing, pressuring for rude pictures, and breaking into someone's e-mail or social networking page, San Francisco, CA. A Thin Line – MTV's campaign was developed to empower you to identify, respond to and stop the spread of digital abuse in your life and amongst your peers. The campaign is built upon the understanding that there's a "thin line" between what may begin as a harmless joke and something that could end up having a serious impact on you or someone else. We know no generation has ever had to deal with this, so we want to partner with you to help figure it out. On-air, online and on your cell, we hope to spark a conversation and deliver information that helps you draw your own digital line. WomensLaw.org – the mission is to provide easy-to-understand legal information and resources to women living with or escaping domestic violence. By reaching out through the Internet, we empower women and girls to lead independent and productive lives, free from abuse, New York, NY. Please note that computer use can be monitored by an abuser and there are ways for an abuser to access your email and find out what sites you have visited on the Internet. It is impossible to completely clear all data related to your computer activity. If you are in danger, use a computer that the abuser cannot access (such as a public terminal at a library, community center or domestic violence organization). Working to Halt Online Abuse – a volunteer organization founded in 1997 to fight online harassment through education of the general public, education of law enforcement personnel, and empowerment of victims. We've also formulated voluntary policies which we encourage online communities to adopt in order to create safe and welcoming environments for all internet users, Dover, NH. YTH | youth+tech+health – the partner of choice for those in search of new ways to advance the health of youth and young adults through technology. We believe that young people deserve honest information, deserve for their voice to be heard, and deserve to live healthy lives without shame or fear. YTH is committed to pursuing emerging, startling, and sometimes, simple technologies that can reach young people where they are. Through our partnerships and projects, we discover what works, pilot innovative solutions, and disseminate what’s truly effective, Oakland, CA.